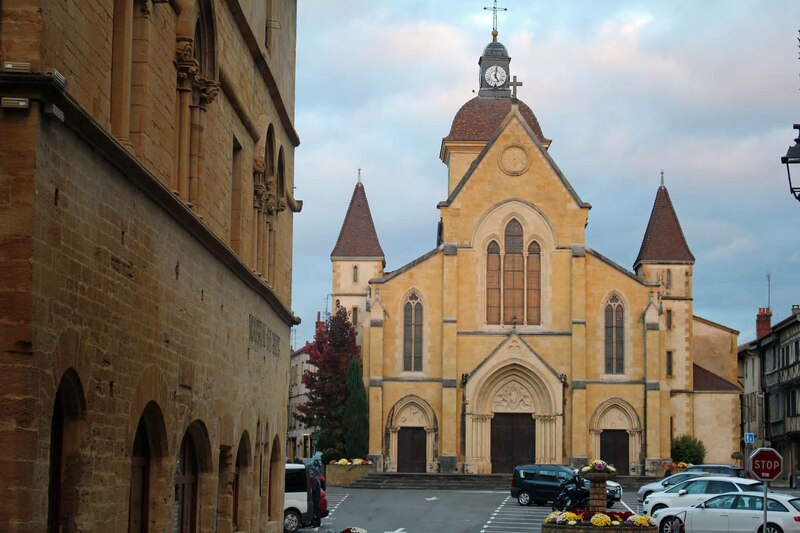 The church Saint-Philibert of Charlieu. Begun in the XIIIth century, the church received its tympanum in the XXth century. Without transept, the church possesses a nave with five spans and one rectangular choir.